Opencart Email My Cart is a useful extension which allows customers to share their cart to anyone via email. 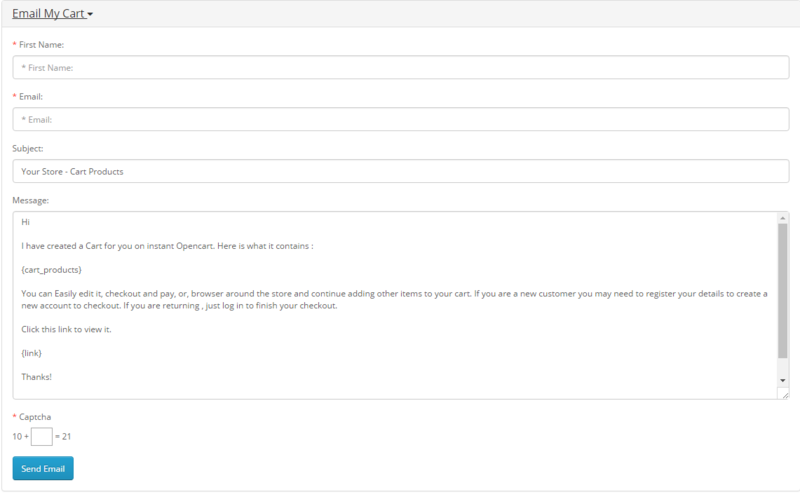 Also allow admins to send a pre-populated Cart to any email address ready and waiting for checkout. The receiver can then checkout or continue shopping, adding to the cart or editing what is already in it. Send your cart with products to anyone via email. Customers sharing their cart with others for interest or to checkout for them. 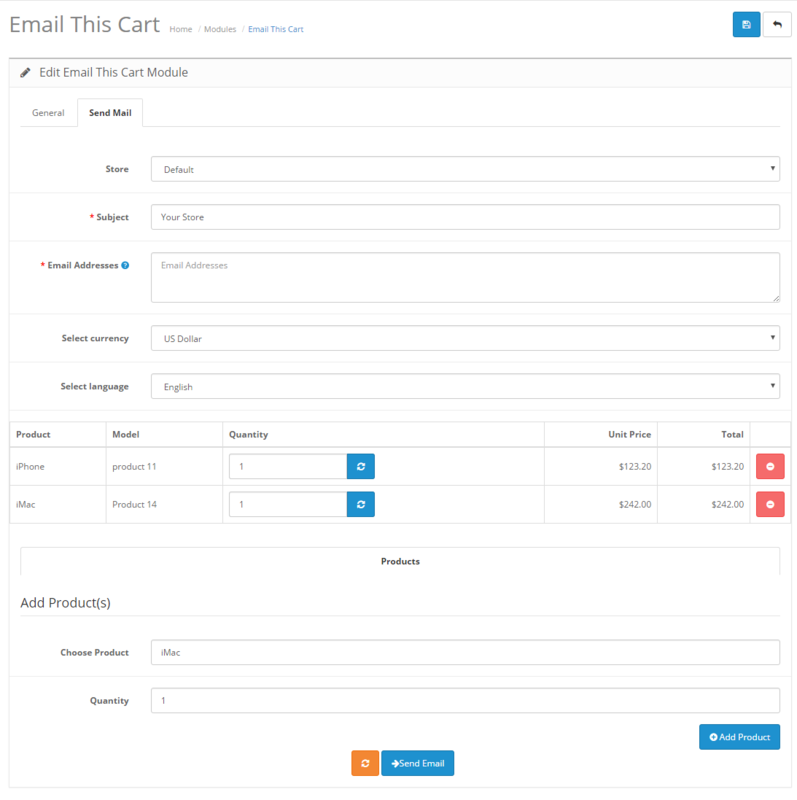 Admin panel to send products as cart to customer. Great for manual orders or phone orders. Customers contacting support who are having trouble finding products or using your site. Encouraging phone / email customers to checkout through the usual front-end where all your shipping and discount plugins are effective. Shopping cart custom “Email My Cart” link. Email have link for restore cart content (without login or customer account). Opencart Default text editor for email messages. Captcha enable, disable functionality in admin panel. 1) Go to extension/installer and install our extension. 2) Go to extension/modification and refresh. For opencart 2.1 or lower. Upload extension folder into your web root directory. Note: Vqmod(at-least version 2.4.0) must install for opencart version 2.1 or lower.